With the injury bug taking two bites out of the “UFC on FOX: Henderson vs. Melendez” lineup in consecutive days last week, we thought we’d put together the card’s updated roster to get you up to speed. 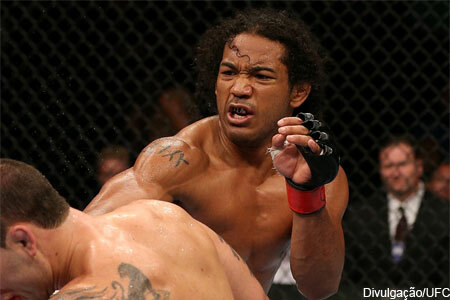 An unofficial undisputed lightweight title unification bout between UFC champion Benson Henderson (pictured) and former Strikeforce champ Gilbert Melednez headlines the April 20 show. The UFC’s Facebook page kicks things off by streaming three preliminary bouts live beginning at approximately 3:35PM ET/12:35PM PT. FX will air the remaining six prelims immediately after at 5PM ET/2PM PT. FOX then broadcasts the main card beginning at 8PM ET/5PM PT. HP Pavilion in San Jose hosts the festivities.